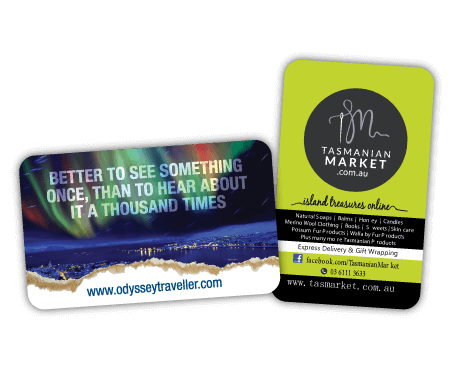 Rounded corner fridge magnets bear the same advertising characteristics of the straight edge fridge magnets except with the soft rounded corners. They aren't as sharp and appear 'friendlier' than straight edged fridge magnets. Great for, but not limited to, services involving children, the medical industry or charities. 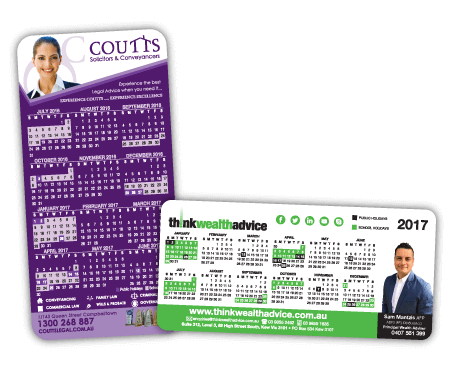 A little pricier than the straight edge fridge magnets but well worth it to give your customers a friendlier image of your brand. 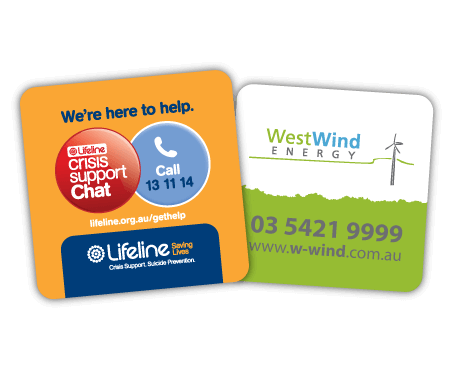 Our fridge magnets are made from a commercial grade rubber-iron alloy. The magnetic material is 0.6mm thick. Finished product is 0.7mm thick after the printed stock and Cellosheen coating is attached. The print is completed using the CMYK digital offset printing process. Artwork for our fridge magnets are printed on 170gsm stock and coated in a protective CelloSheen Coating. The printed stock and CelloSheen are 0.1mm thick. Finished product is 0.7mm thick when attached to the magnetic material.